A significant problem servicers face with multi-structure flood coverage is identifying the number of buildings on the property and the use for each of the buildings. In our experience, most firms are very good at identifying the property’s main structure, but much less so at cataloging any secondary structures. Proper identification is an important step, because not every structure on a property requires flood insurance. A “structure”, as defined by the National Flood Insurance Program, is a building with a foundation, at least two walls and a roof. However, not all structures that meet this definition need flood insurance. One example of this is how non-residential structures with a cost value of less than $10,000.00 are not required to have flood coverage. If the servicer does not properly calculate the cost value of the non-residential structures, there is a risk that the firm will over-insure the borrower and charge them excessive premiums. An additional complication is that the unpaid principal balance (UPB) for the loan has to be allocated across all of the flood eligible structures. Improper UPB allocation can result in an incorrect insurance amount. 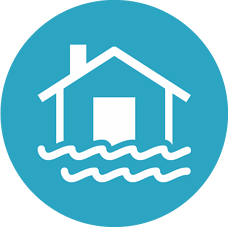 Flood insurance policies are written on a per-building basis. That is, each structure on a property requires its own policy. It is imperative that lenders correctly determine if a property has multiple residential buildings, or a single building with multiple units. In addition, the lender also needs to be aware if the units have a single owner or multiple owners. Inaccurate determination of multiple structures versus multiple units can lead to an incorrect number of policies being placed. For more information on flood insurance valuations, read our latest product sheet.